Are there really Health Benefits to drinking Coffee? Coffee is the most popular drink in the world. 2 billion cups are drunk worldwide every day; with the UK contributing to that by consuming 95 million cups daily. So why is coffee so popular? Are there really health benefits to drinking coffee? Keep on reading, and all shall be revealed. A study made by BBC goodfood found that there are two main health benefits to coffee. The first thing they found was the high amount of antioxidants found in coffee. Antioxidants help to protect our cells from being oxidised by toxins, chemicals and inflammation. However, they noted that although there is a high amount of antioxidants in coffee, other factors need to be considered such as a person’s age, if they smoke and their general health. The caffeine found within coffee can also help with athletic performance. It can help to increase the amount of oxygen that is consumed during exercise, as well as stimulating the nervous system. In a study made by the University of Luton, they found “that drinking coffee before exercise can improve athletic performance as much as 11-12%.”. Due to the high caffeine content in coffee, it can help people to feel less tired and increase their energy levels. “When coffee is consumed, it absorbs into the bloodstream and travels to the brain where it fires up certain neutrons that can lead to improved memory, mood and energy.” Said the Annals of Internal Medicine. Research made by the National Institute of Health found that coffee can boost your metabolic rate and it could help to burn fat. With this in mind, they are now researching further to see if caffeine could become part of the treatment for obesity. Coffee has also been found to give your skin a bit of well deserved TLC. Coffee can play a crucial role in cell re-growth, leading to retained hydration. Also, it enhances your blood circulation. Coffee can even help to reduce swelling of tissues. Coffee ice cubes are a great way of treating swelled up areas of your skin. The way you have your coffee can also have a substantial effect on how healthy it is. In an article by South China Morning Post, they found that lighter roasted filter coffee, drunk black and unsweetened is the healthiest way to drink coffee. This is thanks to the filter papers, which absorb some of the oils and stop the chemicals from getting into your cup. This leaves you with a healthier cup of coffee. Even if you prefer decaffeinated coffee, there are still similar factors that make it a healthy drink. A study in Norway has also found that coffee may help protect against Type 2 Diabetes. The study involved over 40,000 coffee drinkers over a period of ten years. At the end of the study, they recorded that out of the 40,011 participants; only 918 were reported to have Type 2 Diabetes. Currently, there aren’t any guidelines to how much coffee someone can drink. However, the NHS advises pregnant women to try and limit their intake of caffeine to 200mg. This is about the same as two mugs of instant coffee or one mug of filter coffee. I know which I’d rather have. Although regular black coffee is mostly good for you, a lot of coffee-based drinks include other ingredients such as creams, artificial sweeteners and flavoured syrups. These can add lots of extra calories, fats and sugars. So, there we have it. There really are health benefits to drinking coffee. What better reason to get some. 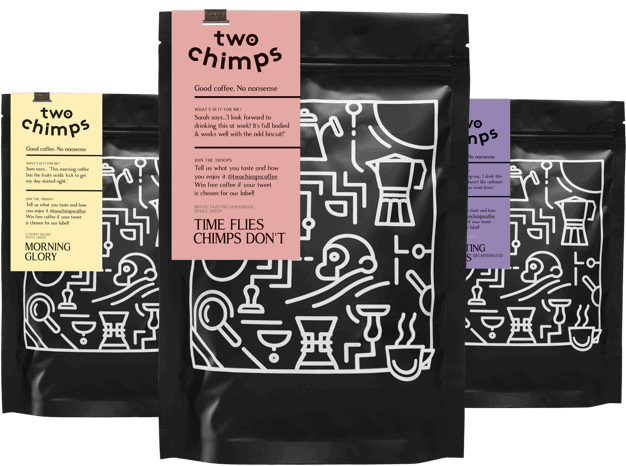 Head over to our shop where you will find all our freshly roasted coffee.